Here are some facts about the River Ribble. The River Ribble starts at Ribblehead at the confluence (meeting point) of the Gayle Beck and Cam Beck rivers. Its mouth is between Southport and Lytham St. Annes on the Irish Sea coast. The River Ribble is 121 km in length, and flows through Settle, Clitheroe, Ribchester and Preston. Its tributaries include, the River Hodder, the River Calder and the River Darwen. The Ribble Way is a footpath that follows the course of the river along the Ribble Valley. The river flows through North Yorkshire and Lancashire. Both the Liverpool Canal and the Lancaster Canal are linked to the River Ribble. The Ribble is one of the key breeding spots for Atlantic salmon. 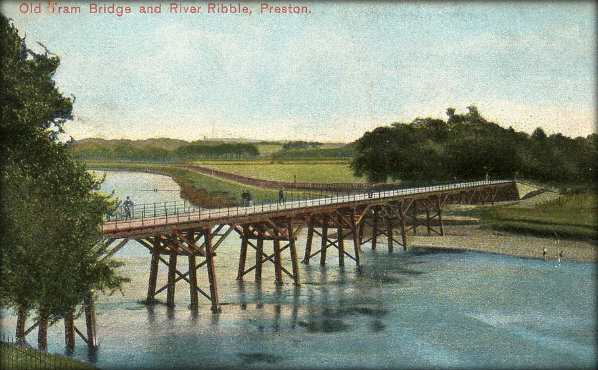 In Roman times it is thought that the River Ribble was referred to as the Belisama, and the remains of a Roman fort have been found at the crossing-point at Ribchseter. In 1840, a large hoard of Viking silver was discovered on the banks of the River Ribble at Cuerdale. Many protected species live in the River Ribble, including the Eurasian otter and white-clawed crayfish. The mouth of the River River Estuary is about 10 miles wide. Archaeologists have found evidence to suggest that people have been living on the banks of the Ribble since Neolithic times. In the time of the Anglo-Saxons, the River Ribble formed part of the northern border of Mercia, one of the kingdoms in Britain. J.R.R. Tolkien enjoyed walking in the Ribble Valley, and some people believe that the landscape helped him to come up with Hobbiton, one of the regions of Middle Earth in his The Lord of the Rings trilogy. It has been said that the old ferry that used to cross the Ribble where it is joined by the rivers Calder and Hodder (shut down since the 1950s), was the inspiration for the Bucklebury Ferry. The Brandywine River in Tolkien’s story was supposedly based on the River Hodder.